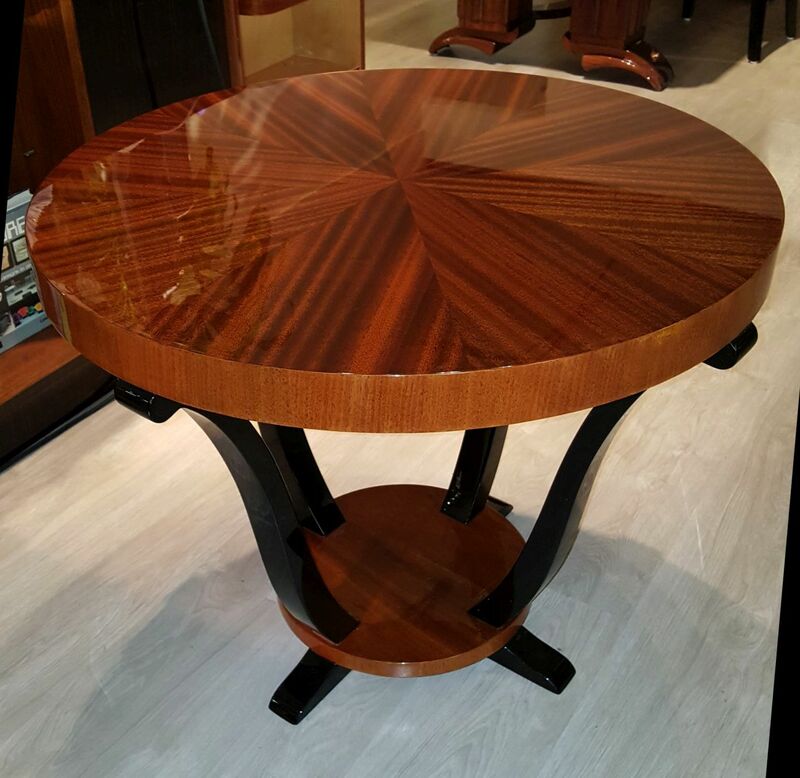 Deco-Dence Gallery & Studio has on offer a pair of exceptionally refinished French Art Deco occasional or end tables. 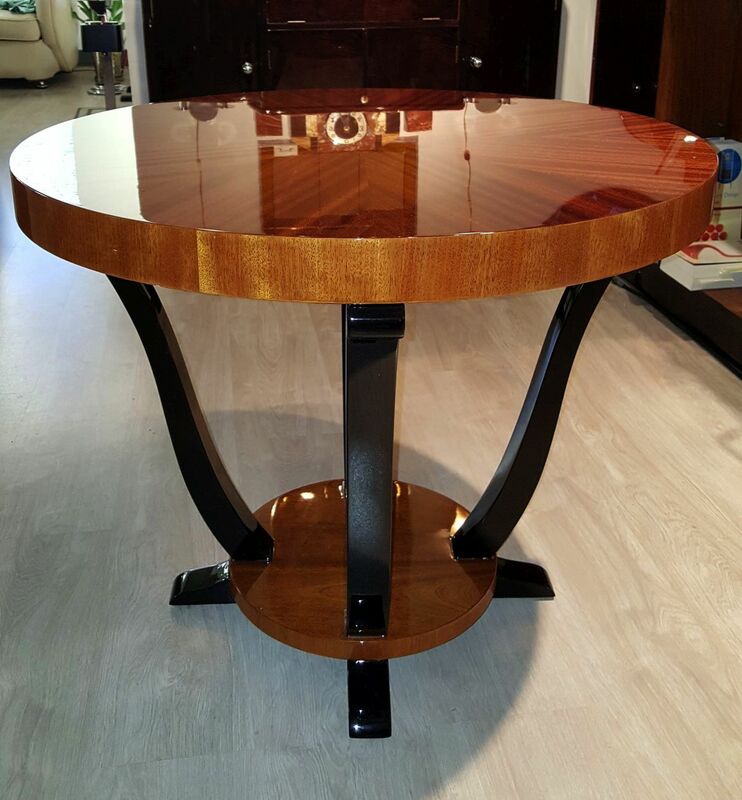 They are 1930's French and both have been refinished to the Deco-Dence luxe Italian polyester high gloss finish level which is among the finest finish levels of any Gallery in the world. 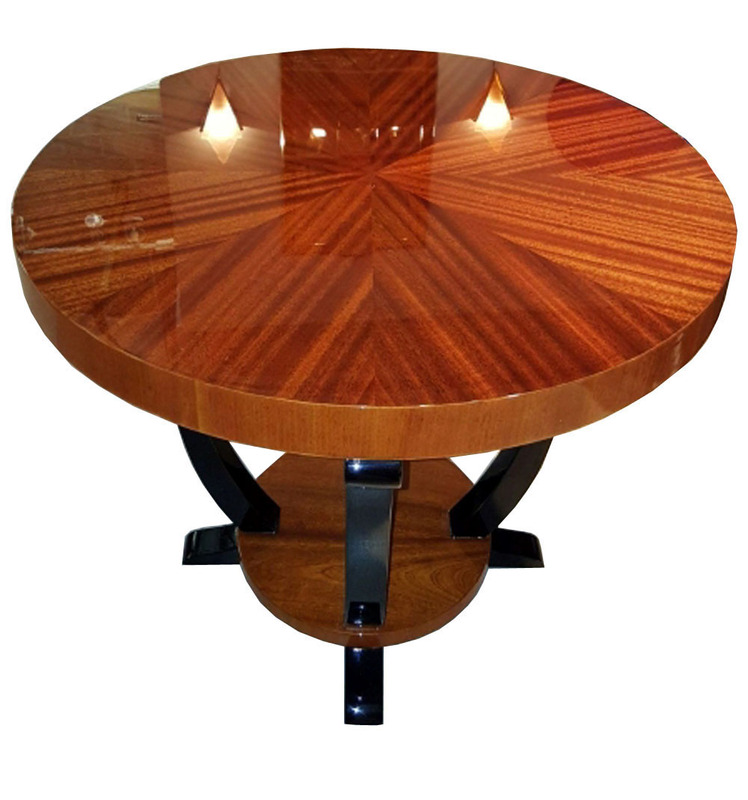 The tables measure 31" diameter x 24 7/8" tall. 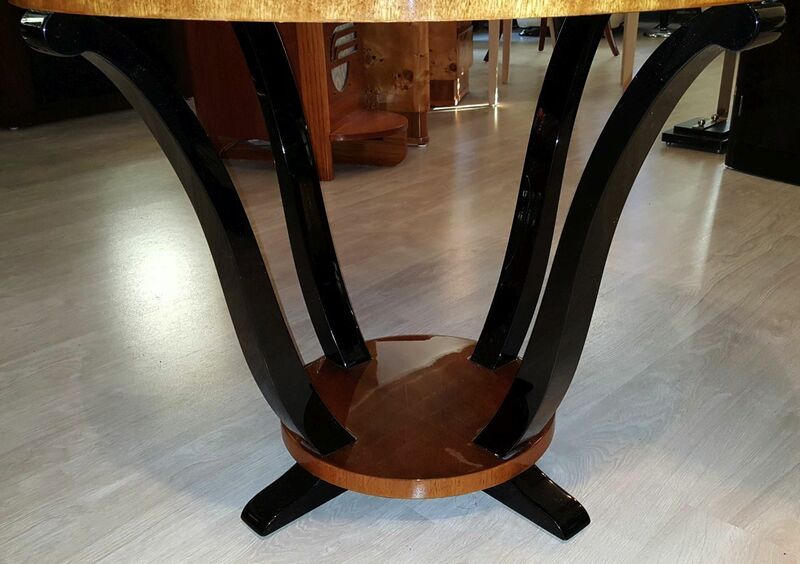 The tables feature four serpentine legs with a gentle scroll at their tops that are high gloss black. 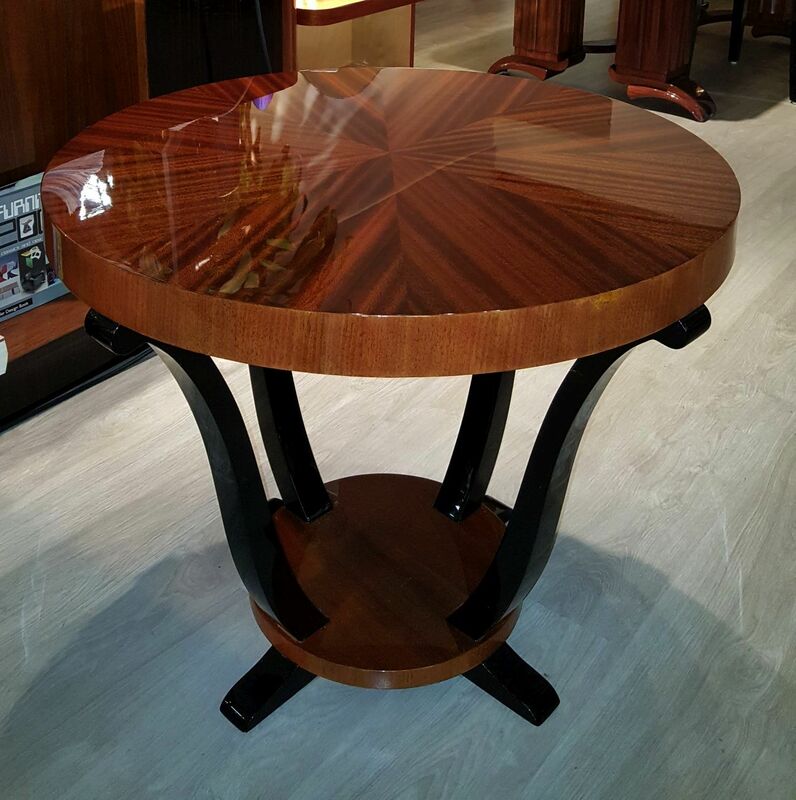 The tables have a lower tier with four gently sloping feet also in high gloss black. 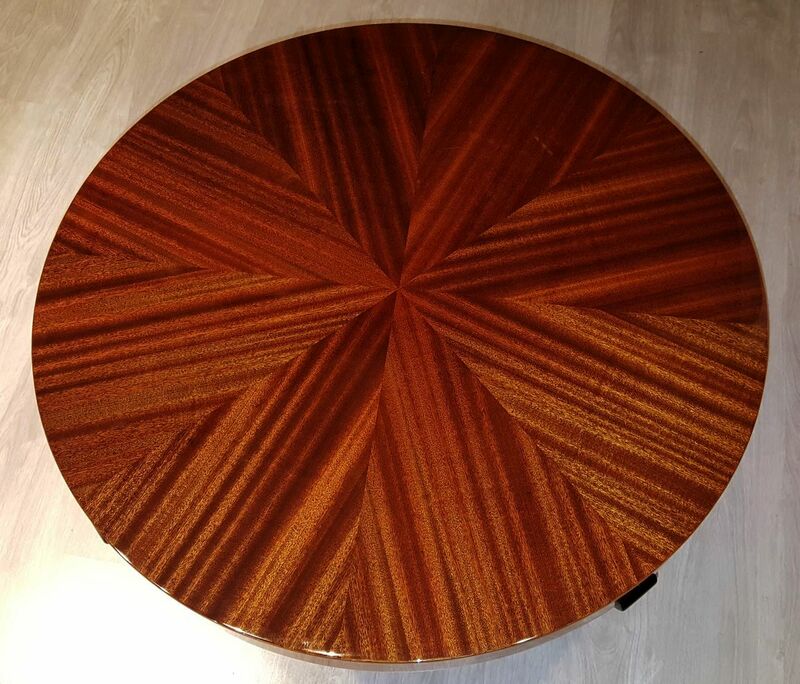 The table tops are a beautiful sunburst pattern in South American Mahogany and the lower tier is also in Mahogany. A pair is available or may be purchased singularly.